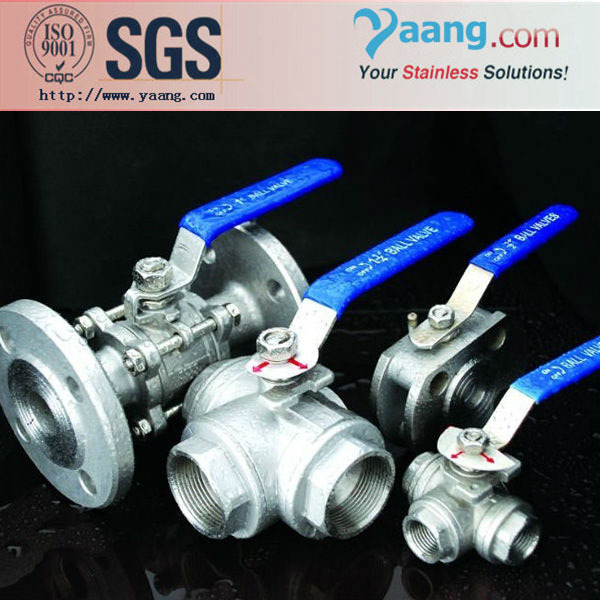 Stainless steel ball valve is very popularfor corrosion resistant industry, such as chemical, oil and gas, water etc. Yaang provide a high quality and vary choice to help you improve the equipment and extending the market. Our ball valves are used extensively in industrial applications because they are very versatile, supporting pressures up to 6000 psiand temperatures up to 572° F (300° C), and various types of one piece, two pieces, three pieces etc with high quality and fast delivery. 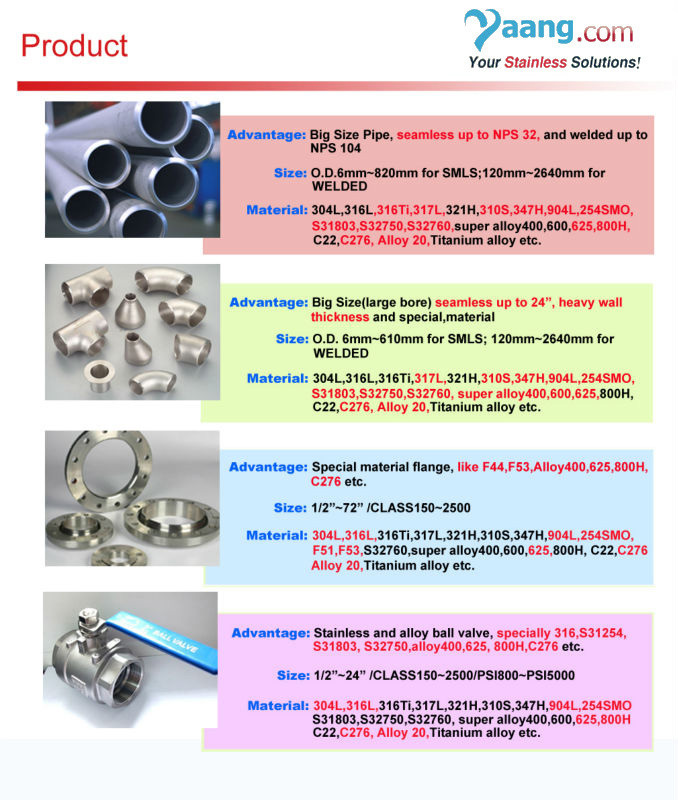 ASME B16.34, API 608, MSS SP110, API 6D, BS5351, BS EN ISO 17292, DIN3202 etc. 1)Threads: NPT, BSP, BSPT to ANSI B1.20.1, BS 21/2779, DIN 259/2999, ISO 22, ISO228/1 etc. API 598, BS EN12266, ISO5208, API 6D, BS6755, API598 etc. DN8 - 150 & NPS 1/4" - 6"
Class150 - 300LBS, PN10 - 40, 10 - 20K, 800WOG/PSI, 1000 WOG/PSI, 2000WOG/PSI, 1.6/16.0Mpa etc. Water, Oil, Gas, Acid, etc.